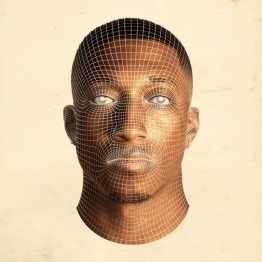 This message by Lecrae pretty much sums up everything the World Light Movement is about, and the vision for its impact in Lagos and the rest of our country. 1) Engage the culture– this is the act of knowing the people; knowing the values, and ideals. Being able to speak the language and culturally contextualise. Be genuinely interested in the people around you and engage them with Christ. 2)Love the people in the culture– people are not projects, they are souls that matter. Reflect Christ’s holy love to the world. Connect with people. 3)Rehabilitate the culture– paint a picture of what it looks like when Jesus radically changes people. This is our light. Build, serve, be involved in the care of our city and the world at large. Our mission is to show this country a radically different picture. To show what it really looks like to live under the Lordship of Jesus. To move away from a fractured and religious vs secular worldview, to a radical, relevant and Christ-like culture. Ultimately, to see more connections with God and more transformations in people’s lives. I hope this gives some clarity on the vision for WLM. To be a part of it, send an email to theworldlightmovement@outlook.com and we will respond with more information on how you can make an impact. thanks for reading and do watch the video to be blessed and inspired by Lecrae’s message!